When building a house, the time that you have to spend will depend on the size and will usually take a couple of months before you can complete it. 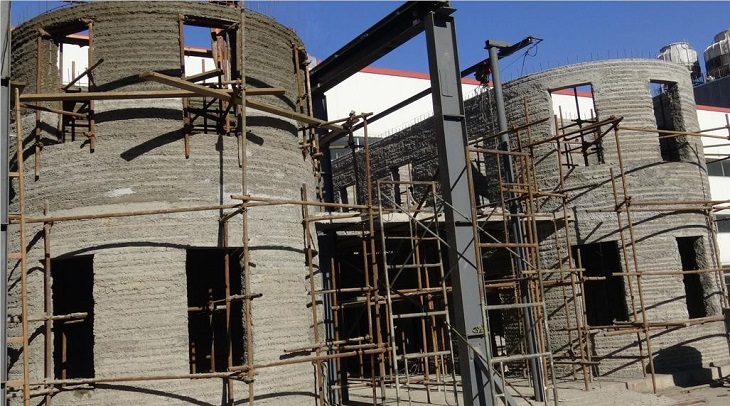 But that is not the case when HuaShang Tengda, a Chinese construction company had successfully built a 2-story house for one month and a half with the used of 3D printing technology. 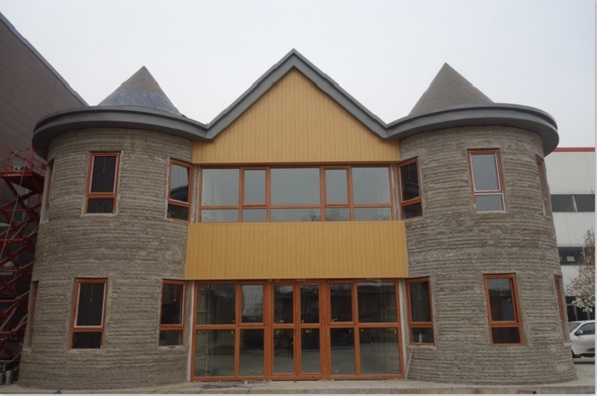 HuaShang Tengda is a company that is based in Beijing and considered to be the main competitor of Winsun that has already tried creating 3D printed houses as well as a mansion and a 6-story apartment. Unfortunately, the reputation of Winsun crashed because Dr. Berokh Khoshnevis who is the creator of the crafting technique use in 3D printed buildings, told that company had stolen the technology and claim it as their own. Aside from that, Khoshnevis also said that the information about 3D printing homes of Winsun is not true. Instead, they only create 3D printed small parts of the walls and try to put them together by making use of other methods used in construction. 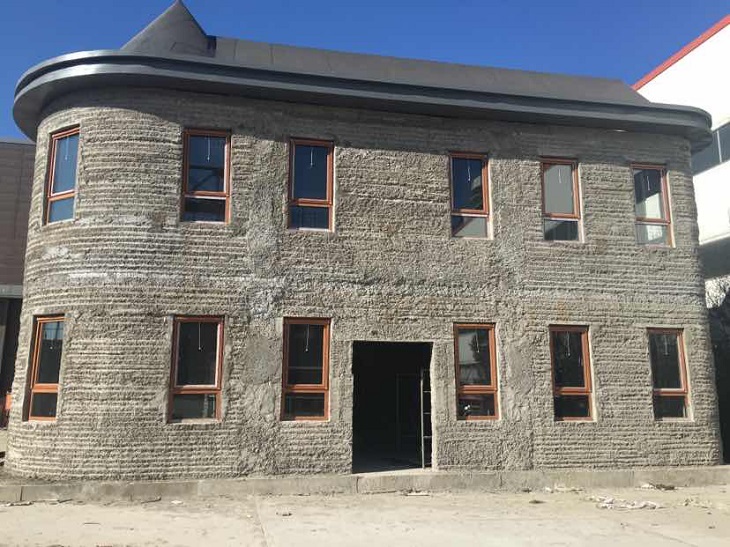 On the other hand, HuaShang Tengda is different from Winsun because they have successfully built a two-story villa on-site in a process that seems to be different compared to other techniques applied in 3D printed construction. The first thing that the team did is to put up the frame of the house. After that, they have started working on the rebar support and also the plumbing pipes. By using a large printer, they have 3D printed the building. You will notice a fork extruder in the printer that lays the concrete of the side of the material that will be encased in the walls. The company has used a tough concrete material called the Class C30 concrete that can guarantee durability without the need of spending much. It is also possible to use other construction material for the process according to the company so that construction firms can make use of the resources available. HuaShang Tengda had to use 20 tons of the concrete material to print the wall which is 250 cm thick. The structure can withstand an earthquake that can reach up to intensity eight. HuaShang Tengda had developed the technology in-house and can also be controlled by using a custom-designed software. This software has four systems that include the formulating system for an electronic ingredient, a mixing system for the concrete material, the transmission system, and the system for 3D printing the structure. The company also tells that the printer can be used in printing any size of buildings whatever the shape is even bigger apartments. 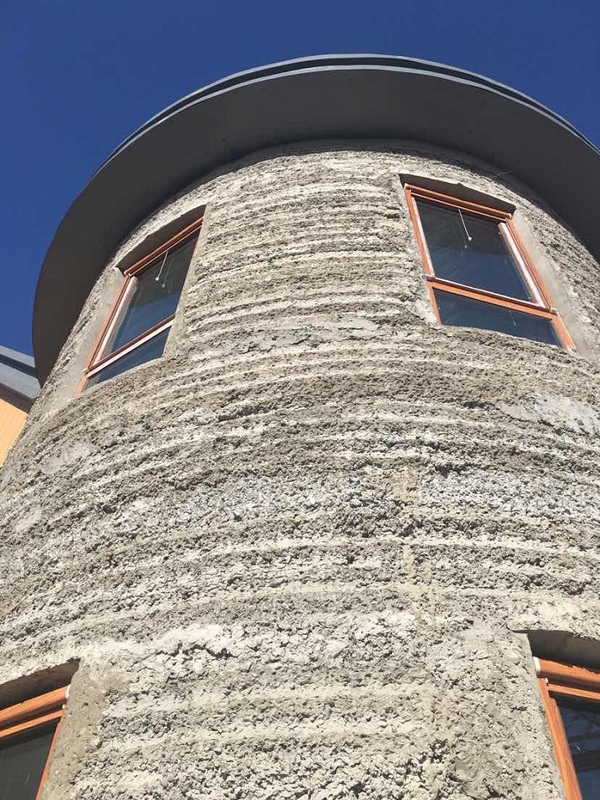 Though the information about Winsun producing 3D printed homes is too good to be true, the 2-story 3D printed house created by HuaShang Tengda is something that is real. The building is not only cost-efficient and fast to build but it can also promise durability because it can stand still even after a strong earthquake which means that it can save many lives. This is something important to countries that are prone to earthquake like in China.